2013 is finally here, and the Nintendo 3DS is primed to inherit the crown from is predecessor, the Nintendo DS, as the device to buy for great Japanese RPGs. The presence of HD has taken its toll on JRPGs all around with the rise of Western games on consoles. The generation of PlayStation gamers alive during the JRPG boom of the late 1990s now work 9-5 jobs and have kids. Who has the time to play a 60 hour video game anymore? I would love to finally sit down and play Persona 4, but that is 100 hours of my life I just can’t afford to sacrifice these days. Luckily, Japan found the answer pretty quickly: the Nintendo DS. Cheap production costs and improved technology not found on many previous handhelds allowed another generation of classics to bloom and flourish. What’s more, the portable nature of the devices make gaming on the go easier, so that’s more time to play where home consoles don’t allow. 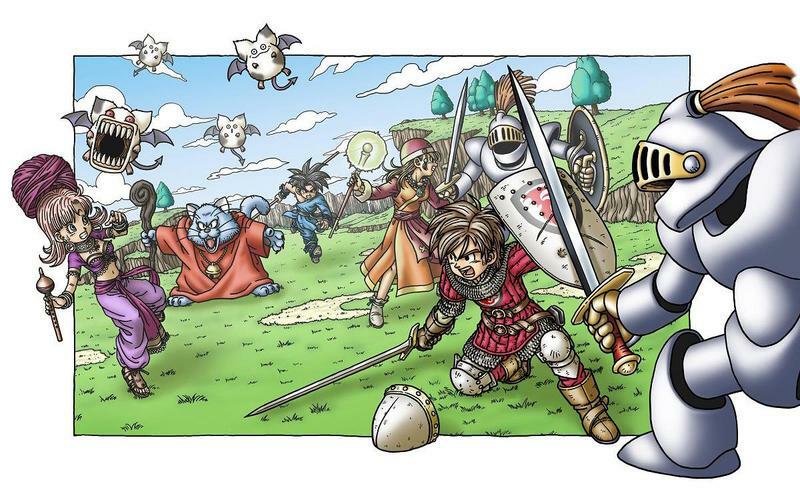 While most were forgettable after a single run-through, a handful of modern day classics still hold up and would make a fine collection to back up the great Nintendo 3DS RPGs just around the corner. Here are a few you should pick up before the new wave of classics hits. This gem is my favorite. It came out at a time when nobody believed Square Enix could pull off a successful original IP anymore, and it caught everyone who played it by storm. Sadly, that wasn’t very many people at the time, but it has enough of a fanbase these days for the characters to pop up in Kingdom Hearts games and wind up on the iOS platform. Headed by developer Jupiter, this tale of survival pits children in a battle between the demons who haunt a parallel dimension in Shibuya, Tokyo’s most bustling shopping district. A lot of praise has been aimed at the game’s cast, which is surprisingly deep considering how much JRPGs had gone off the deep end with their depressing characters at the time. 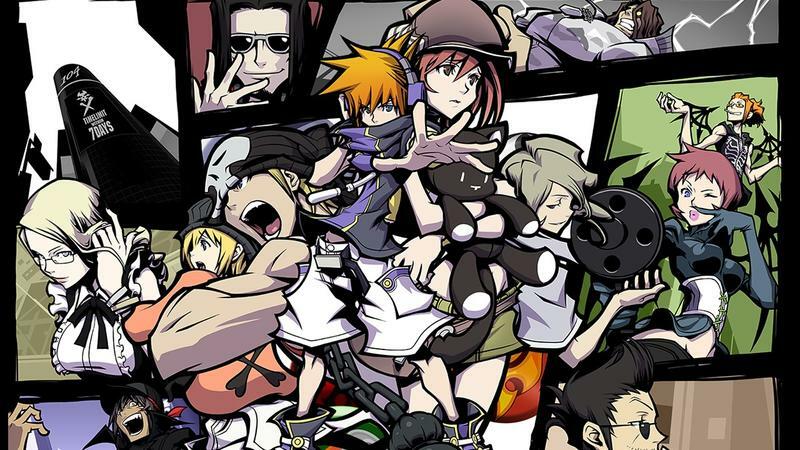 TWEWY knocks it out of the park and finds the perfect balance between the anime angst the kids love and good old fashioned character development. The battle system is no slouch either, but you’ll need to grow an entirely separate set of eyes to see everything that is going on. 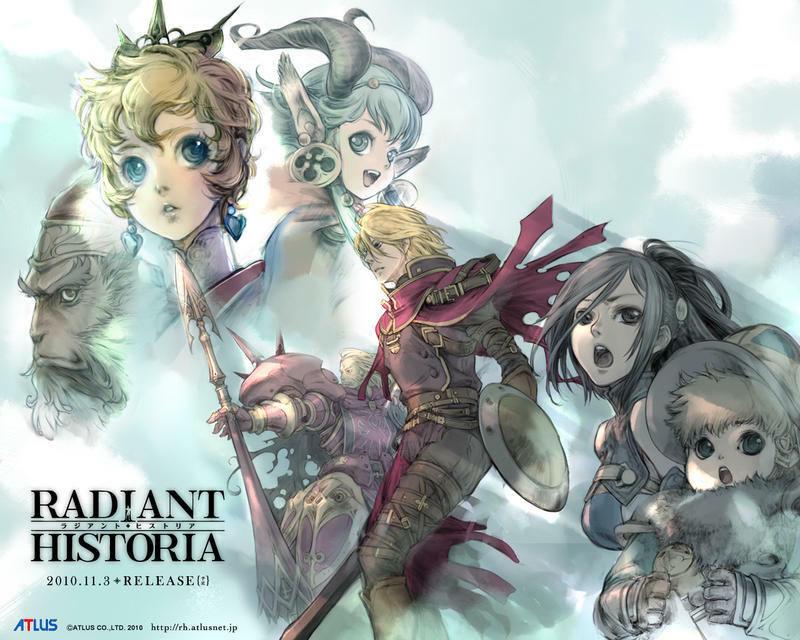 A proud return to the SNES days of JRPGs, Radiant Historia tells the tale of Stocke, a spy caught between two parallel timelines, each of which will bring about the destruction of his desert kingdom. Using the knowledge he learns from the events he witnesses, Stocke is charged with saving his kingdom by jumping through time and unraveling the deadly conspiracy which will doom his people. While Chrono Trigger will always be the standard for a JRPG using time travel, Radiant Historia actually makes a gameplay mechanic out of it. Need to rescue a guy you find dead? Travel back in time and warn him beforehand. Stocke uses the information to witness every outcome of his quest, and the knowledge he gains paints a clear path from beginning to end once you’ve played enough detective to work it out. Of course, the gameplay is top notch. While it looked like a traditional line fighting set up at first, the enemies actually line up on a grid, similar to those found in most strategy games. You’ll have to figure out how to line characters up to make the best use of area attacks or pile them onto a single tile and focus all your energy on that one spot. The battle system comes with a lot of great ideas. It gets repetitive, but luckily more of the game’s wonderful characters join the fray at the exact right moment to keep things interesting. I’ll go out and say it. These two games, along with the Game Boy Advance’s Superstar Saga, are the funniest and most clever use of the Mario license. I went back and played these recently, as well as the original Super Mario RPG for the Super Nintendo thinking it was far superior to its handheld younger brother. Boy was I wrong. Not that there is anything wrong with Super Mario RPG, but these games actually feel like a Mario efforts, not Mario stuck in a Final Fantasy story line. Time attacks are taken to a whole other level in these games, and boss fights are intense. You’ll be dodging attacks, memorizing patterns, timing hits perfectly in a battle system far more involved than the typical Attack/Magic/Item/Run set up. Plus, the world these inhabit is beautiful. Mario and Luigi have never looked so good, and in fact, the Game Boy Advance sprites have replaced Super Mario World as my go to image of Mario in sprite form. 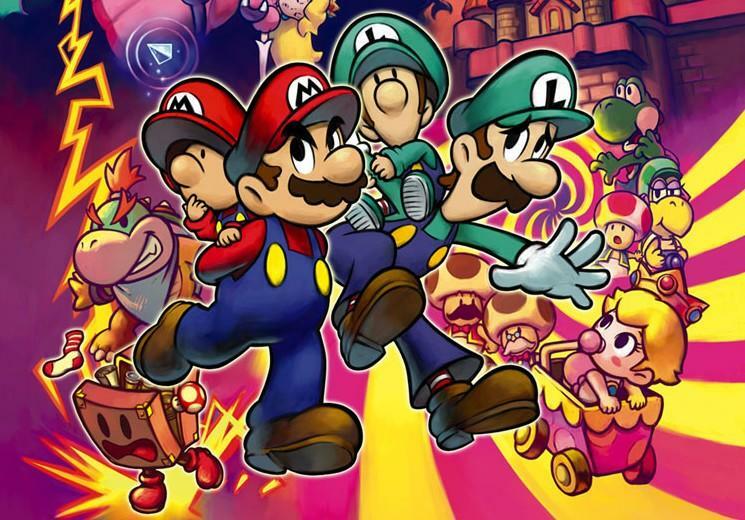 It seems Paper Mario has overtaken the popularity of these games, and it might be a while before we get another one. That’s a shame, because these are hilarious. Most were distracted by the Shin Megami Tensei: Persona games at the time, so this one got swept under the rug a bit. 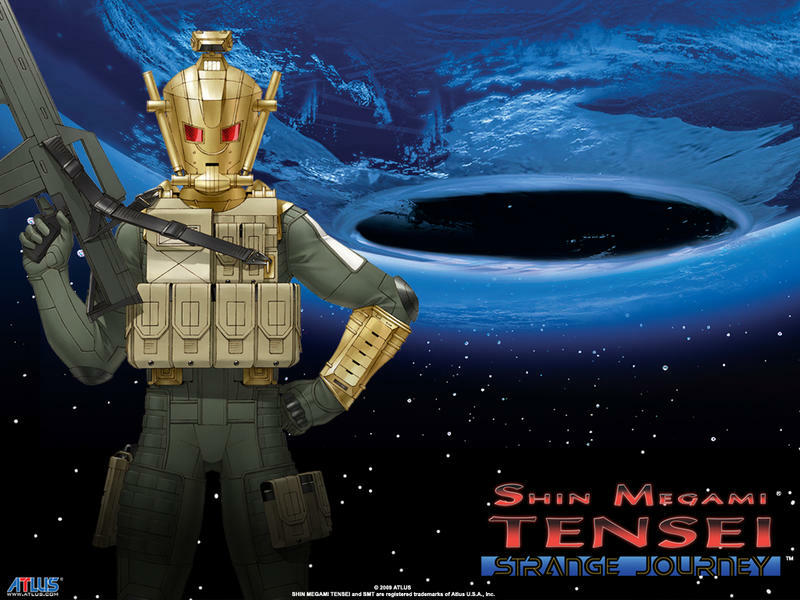 Strange Journey falls far more in line with a traditional game from the demonic series from way back in the NES days. A team of scientists and soldiers travel to Antarctica to investigate a mysterious dome which has encapsulated much of the continent. While there, they uncover the truth about an approaching apocalyptic event while members of their team end up missing or being killed. Shin Megami Tensei has never been known to be a happy series, and don’t expect to find any joy here. This is Shin Megami Tensei at its unadulterated best on the Nintendo DS. Difficult first person maps tied to strategic battles. Of course, the main character must make pacts with demon enemies and combine them together to be his super demon allies, all while diving deeper and deeper into frozen isolated caves beneath the South Pole’s frozen ice caps. Not one for the kids. The enjoyment you get out of the Etrian Odyssey games is relative to how much punishment you can take. These three games are the hardest you will come across on the platform, so take your time choosing. Most point to the second as being the most well balanced in terms of length, difficulty, and fun, so if that is your forte, by all means. The Etrian Odyssey games are actually all about balance. The objective is to make the perfect team able to dive deeper and deeper into a first-person dungeon filled with deadly creatures, hidden paths, traps, treasures, and boss fights. Characters grow older, they retire and pass their traits onto the next character. There is no shortage of thinking how to possibly move ahead in this dead end game. There is an ending and reaching it is a reward in itself. Just don’t misjudge the cute graphics and think you’re in for a fluffy adventure. You’re not. This is the closest thing we have to the classic series Wizardy, brutal and impossible dungeon crawling at its most unforgivable. Be sure to check out Etrian Odyssey IV: Legends of the Titan when it gets released for the Nintendo 3DS this May 15th.